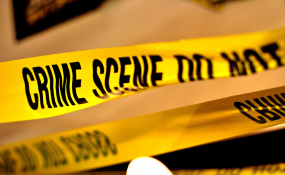 Kampala — Another woman has been found stripped and killed at Nakule zone, Nansana Municipality in Wakiso District. Police spokesperson, Asan Kasingye, said Teddy Nakacwa, who is in her early 30s was found killed in the same way four women were killed on May 29 and 30 respectively. Quoting eye witness, police said Nakacwa left a drinking joint in the wee hours of Monday morning and was found murdered in her rented house by the neighbours. "The neighbours say she returned very late from a bar but they were shocked in the morning to find her dead. The killing is similar to the way the four women were killed," Mr Kasingye said. According to police, Nakacwa's assailants could have trailed her from the bar or the man she might have left the bar with strangled her after sexually abusing her. Fear gripped residents of Kibulooka and Masitoowa zones in Nansana Municipality after four bodies of women, all in their 20s, were recovered in the area in a space of only three days. Two of the bodies were found stripped naked in Nansana West B ward whereas two other bodies were discovered dumped in a garden in Masitoowa. Nansana Municipality lies on the outskirts of Kampala City. Mr Emilian Kayima, the Kampala Metropolitan police spokesperson, said all the bodies were found with bruises, creating fear that the women might have been sexually abused before they were killed. He said the women bodies had signs that they tried to fight for their life and they all had no underwear. Of the four bodies, the police managed to identify only one as that of Juliet Nampijja, a resident of Namungona in Rubaga Division, Kampala. Nampijja had two children from different fathers.